We have gathered together some great ideas to celebrate the tooth fairy and bring the magic to life at home. Just be careful what your children wish for as some dreams are a little tricky to make come true (like getting freckles!). The tooth fairy has been around since at least the Middle Ages although the exact origins are unknown. 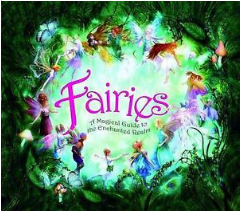 Thankfully ‘Fairies: A Magical Guide to the Enchanted Realm’ by Alison Maloney will help parents with answers to the many questions kids have about the magical being who collects their baby teeth from under their pillow! (available at Ebay from £2.99 plus 15% ebay revenue back). 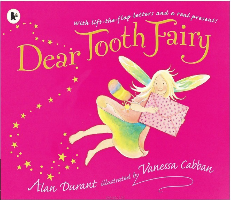 Little girls in particular will love this interactive story ‘Dear Tooth Fairy’ by Alan Durant that encourages you to write to your fairy. Featuring numerous fold-out fairy letters, a fairy identification leaflet, a riddle book and a special gift to keep from the Tooth Fairy. £6.99 from Foyles , and get 5% back for your kids. 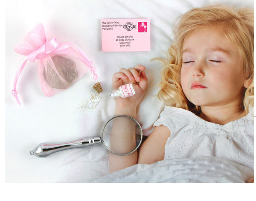 This gorgeous tooth fairy kit is only £14.95 and includes everything you need to captivate your child’s imagination and provide a magical experience and lasting memory. 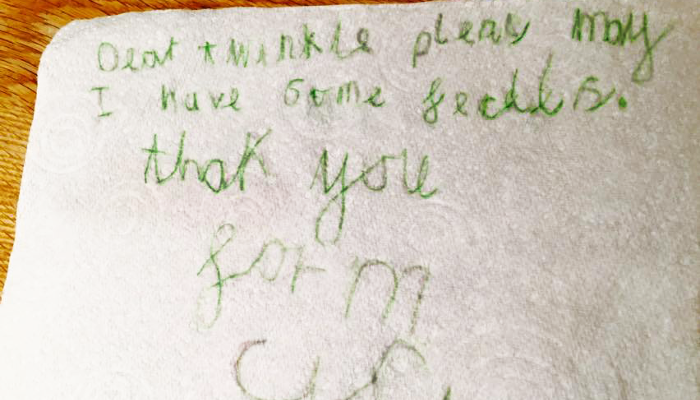 It even includes a miniature, personalised envelope and letter from the Tooth Fairy. Get it on Etsy and get up to 5% back. Or if you prefer to craft your own letters to or from the fairy, they have this fantastic set. 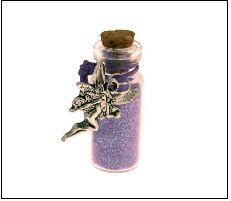 It is vitally important to have tiny bottle of fairy dust. This is sprinkled by the tooth fairy to send your child back to sleep if they begin to stir while the Tooth Fairy is near. Get it at Party Pieces from £1.69 and get 4% back. Get crafty and make a Tooth Fairy pillow. This fun-size pillow will make it ‘fairy’ easy for the Tooth Fairy to find your child’s lost tooth! Get all the kit to make it from Hobby Craft and get 7% back. 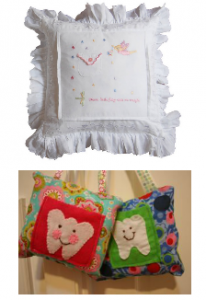 Or buy this gorgeous Tooth Fairy cushion which can be personalised with your child’s name and date of birth, a beautiful keepsake gift. With fairy or pirate embroidery and a ‘tooth treasure’ pocket, this is a perfect gift for the special occasion of losing a tooth. 100% cotton cover complete with a duck feather cushion pad. £19.99 plus 3% back for your kids. 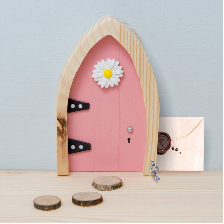 Invite a fairy to live in your home with a cute fairy door fixed to your child’s bedroom wall. The perfect place to leave a letter to your tooth fairy. Decorate your own door only for only £2 and 9% back at The Works. Or buy this lovely one from Prezzy box for £17.95 plus 7% back for your kids. Which includes online registration of your fairy with a secret code giving access a whole host of enchanting fairy tales! 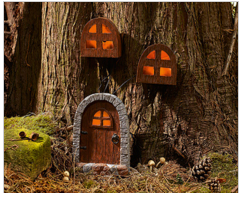 Add a touch of enchanting whimsy to your garden with this beautifully crafted miniature door and windows which transforms an flower pot or tree trunk into a magical fairy home. Solar powered LED lights come on after dark when your fairies are at home. £24.95 and up to 5% back for your kids. 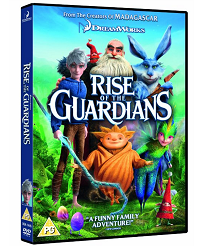 Watch Rise of the Guardians – only £3 for Amazon Prime members plus 2% back This family-friendly fun animated film features our tooth-loving winged fairy fighting alongside father Christmas and the Easter bunny to stop the Boogeyman Pitch Black’s attempts to spread darkness and fear throughout the world. 5/5 star reviews! Help the tooth fairy get teeth in great condition with these free Tooth Fairy activities that help educate your child about cleaning their teeth. Complete the Tooth Fairy’s word scramble, connect the dots page, colouring sheets and more. 10. 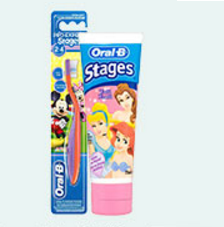 Buy some snazzy new toothbrushes. We love these battery operated ones currently half price, only £2.99 at Boots, plus get up to 5% back for your little ones. 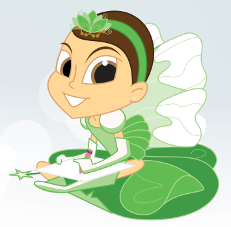 How will YOU celebrate National Tooth Fairy Day? Tell us in the comments!